The Amazing Acro-cats will feature cats walking on a tightrope, balance and roll on a ball across the floor, and play musical instruments. 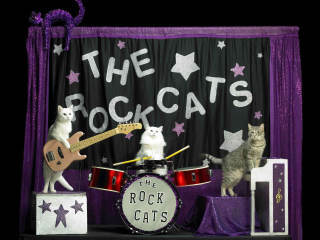 The current band lineup is Tuna on cowbell, Oz on guitar, Asti on drums, and Nue on keyboard. This event benefits Friends of League City Animal Shelter and will feature kittens and cats available for adoption.